Israeli Air Force F-16A fighter. Take Iraq, for example. No, we’re not talking about the disastrous American invasion in 2003, but a stunning raid to destroy the only known Iraqi nuclear facility decades before that. We’re talking about Israel’s Operation Opera. Nuclear weapons are extremely powerful and dangerous—the bomb that was dropped on Hiroshima was small by modern standards, and yet still killed 60,000 to 80,000 people in an instant. For small states like Israel even a single nuclear weapon detonated on its soil would be utterly catastrophic. The immense destructive power of nukes means some states will risk—or even start—a conventional war to forestall a nuclear war down the road. In 1981, Israel decided to act unilaterally to prevent an Iraqi nuclear bomb, targeting an Iraqi nuclear reactor located outside Baghdad. The Israeli Air Force was tasked to develop a plan to destroy the facility, known as Osirak, in what would be the IAF’s longest mission ever. Meanwhile, members of the Israeli government secretly deliberated about the pros and cons of launching such an attack. While the attack could well be successful, the diplomatic fallout could isolate Israel even from its allies in the West. Officials also deliberated whether or not the attack would create another kind of fallout, the radioactive kind, opening up Israel to charges of endangering nearby civilians. After months of practice and deliberation, Israel launched the attack in June 1981. Eight F-16A Fighting Falcon fighter bombers, escorted by six F-15A Eagles, took off from an air base in southern Israel. 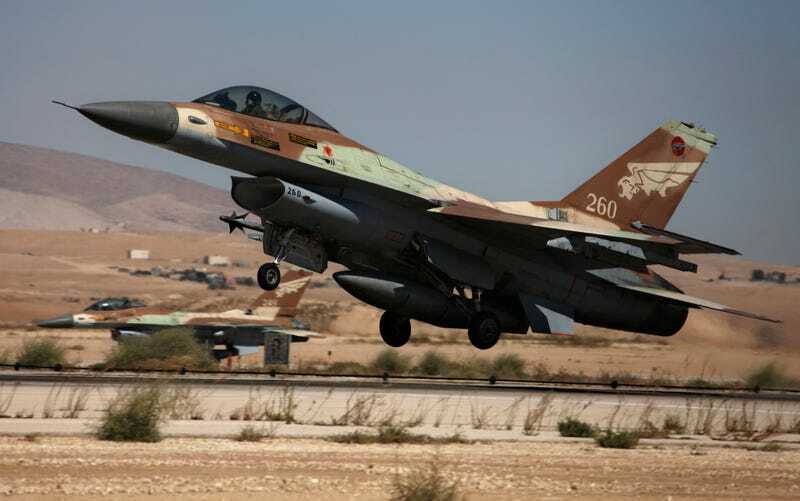 The need for secrecy meant the airborne strike force couldn’t refuel in midair and the jets were forced to briefly cross Jordanian and Saudi Arabian airspace. The planes flew low over western Iraq to stay off the country’s air defense radar network, flying as low as 150 feet. Once near the target the eight F-16As, each armed with two unguided 2,000 pound Mk.84 bombs, gained altitude and began their attack run. The F-16s swooped down on the Osirak complex at 6:35 p.m. Iraqi time. 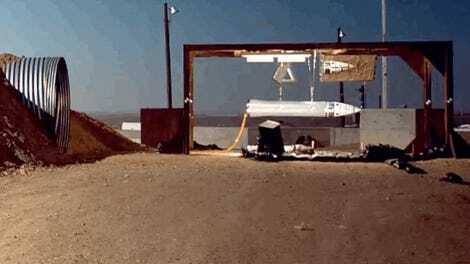 From first bomb to last, only 80 seconds elapsed. Smoke and flames rose into the air as 14 of the 16 bombs hit inside the dome and destroyed the reactor. The explainer YouTube channel Plainly Difficult occasionally covers military topics, and this month it’s covering the raid on Osirak. Iraq’s avowed interest in nuclear “research” was considered highly suspect, considering Hussein’s fiery rhetoric about the destruction of his enemies (including Israel), his outright aggression against countries such as Iran, and the fact that his country was practically swimming in petroleum. The attack on Osirak carried a stiff diplomatic price for Israel, but there was no doubt it derailed Hussein’s nuclear ambitions. In 2007, Israel would later launch yet another airstrike to stop a nuclear program, this time against Syria, flattening a nuclear reactor under development with North Korean assistance. The Osirak nuclear facility, 1981. One of the veterans of the Osirak strike was a young F-16 pilot named Ilan Ramon. Ramon was tasked to create the navigation plan and was the last pilot to drop bombs on the reactor dome, as the Times of Israel noted back in 2016. Although his fellow pilots feared he would catch the most flak, it turned out that all of the Iraqi air defense personnel guarding the facility were in the cafeteria and what air defense fire the defenders finally managed to put up was completely ineffectual. Ramon later became Israel’s first astronaut, and perished during the Space Shuttle Columbia accident.